I gave up on Facebook during the 2016 election. Weirdly, though, it wasn't because people were so rancorous. It's because everybody was so isolated and protective. See, I thought that the idea of Facebook was for friends to have conversations in which they discussed things that mattered to them. And in 2016, it seemed as if almost everyone was proclaiming, in the most brutal terms, just how evil they thought that everyone that disagreed with them must be. But nobody ever posted a contrary view. Nobody ever said, You do understand that there are no facts whatsoever to support your claim that all the evil of our time comes from Republicans, right? You do understand that some people oppose Hillary for reasons other than a deep hatred for all women, right? Oh, wait. I said those things. I didn't think I was being mean, I just thought I was raising the possibility that we could make our decisions about voting without having to hate a whole class of people in the process. But I kept running into people who said, If you disagree with me, write your views on your own facebook page, not on mine. Or, if you disagree with me then you're a troll ... not a friend. This all came to a cusp and I realized: Facebook is not a place for ideas or even rational thought. Instead, it's a place where really needy people post every few minutes, and say things like, "I have to go to the bathroom so I'll be away from the screen for a little while." And it was a place where most people seemed to want to dwell inside an echo chamber, where the only voice would be their own - and the voices of those friends who never never never disagreed with their statements. Meanwhile, I got back hours every day by simply ignoring Facebook. So I didn't have to deal with the nonsense when the execs at Facebook, Google, and other social media sites dropped any idea of being even-handed and encouraging free speech, as they began to block or hide the postings of conservatives, while featuring and promoting the ideas of the Left. You know, when I was seeing so many stupid and hateful posts during the election, it never crossed my mind that anybody would censor those I disagreed with. But the election of Donald Trump came as such a shock to the Left, who had studiously ignored all the appalling things about Hillary Clinton that caused so many voters to hold their noses and vote for Trump. In fact, they worked themselves up into a frenzy of adoration for her, because the Left now believes that ANY opposition to ANY aspect of Leftist ideology or Leftist candidates can only be prompted by pure evil. So Trump's victory must have led the bosses at these public forums and social media sites to think, Did evil triumph in 2016 because we allowed people to find the evil postings of evil rightwingers who told people about the deeds of Hillary Clinton in such a way as to make voters think she was not the perfect, inevitable winner of the presidency? Was it our fault? Well, if it was, then NEVER again. We'll make it so nobody can find those conservative postings. We won't actually ban them, because then they get other people all upset, as if they didn't deserve the guillotine. But we'll make it so they don't show up in search results and anybody looking for them will have a hard time finding them. You know, the kind of thing the IRS was doing. Special attention to conservatives. And since ANY opposition to the Left was equally evil, it didn't matter if they were holocaust-denying white supremacists or simply people who didn't want a president who openly solicited and took bribes. But, as I said, I wasn't THERE for any of that because I had already given up on Facebook, and I never looked up anything that Google was hiding from people. Because I didn't have to get my information from the Internet. Because I read those stacks of paper called "books" so I didn't have to use Google to find out how the world works. In fact, I actually read HISTORY, which allows me to put things in perspective without the help of columnists of any stripe. Thus I was not in the market for another social media community to join. I'm not a joiner, and after Facebook, I couldn't see any reason to sign up for a service where I could lose friends just by asking questions. This last summer, though, I googled a question about Game of Thrones and found a really good answer that had apparently been published on a site called Quora. To me, "quora" looks like the plural of the word "quorum," so it seemed to suggest that Quora was about gathering enough people to form, not one, but multiple quorums - a gathering large enough to make a decision. It was as if somebody, having read The Wisdom of Crowds, decided to create a place where crowds can come together and reach out to each other to try to achieve wisdom. But at first I didn't see all that. I only knew that after my first visit, I would get letters fairly often at my Gmail address - which I never use. But my tablets and phones get notifications whenever a bit of mail arrives at my Gmail inbox, and I discovered that all the posts were really deep information about Game of Thrones -- and, more important to me, about the books in George R.R. Martin's series A Song of Ice and Fire, the sources of the TV series for the first couple of seasons. The answers I received (to questions someone, but not I, had asked) were superb -- the authors really knew and remembered deep information and telling details that I had overlooked or forgotten. Were they really so dedicated to this story that they had all this information at the tips of their fingers? No, they were not. I gradually came to realize that when they answered questions publicly posted on Quora, they first researched the information they were being asked for. They rewatched portions of episodes; they looked things up in the books. The big thick books. I started clicking on things in the letters and getting taken to the Quora website. There I'd not only see the full answer and several comments responding to it, I also began to get a sense of the wide range of questions that are asked. Some of the questions are obviously written by people whose first language is not English. This means that the questions can be hard to understand -- but there always seem to be people who figure out what they're actually asking and then answer with great patience and clarity. In other words, answers often come from people who are kind, even when it would have been easy to score points off the questioner by ridiculing their poor use of English. And there were queries from high school and college students, obviously trying to get somebody else to do their research for them on papers and essays due for classes. They usually got ignored, especially with such unanswerable questions as, "How should I begin an essay?" How can that be answered without telling people what the essay is for, what the subject matter might be, and so on. You know, the basics. There was always a little link when I was about to read a whole answer that didn't fit in my Gmail letter, asking, Open in App?" It finally dawned on me that Quora has an app. So I downloaded it and began to start browsing it to see a lot of things that had never made it into my Gmail inbox. Now, there is no app for Windows 10; on a Windows machine, you have to access Quora through your browser. But on Android devices, there's an app, which speeds things up a lot. Here's how the whole question-and-answer thing works. Somebody posts a question -- and sometimes the questioner is the very person best qualified to answer it. So, having posted a question, that expert proceeds to post an answer. Then, as Quora members read that answer, they have the option of giving it an upvote. Unlike the Facebook "like" button, which is designed to tag you for advertisers, and Quora upvote is used to rank the answer to each question, so that when you navigate to that question, the top-upvoted answer is the one you see first. This is where the wisdom of crowds comes in: Those upvotes seem to be pretty carefully bestowed. If somebody handles a tough question particularly well, or tells a moving story, or has a really funny take on it, some answers get dozens or hundreds of many thousands of upvotes. So when you start browsing through various categories, you're going to see the top answers, which are often by experts in a particular field - or by Quora members who are earning a reputation for giving great answers. In fact, along with upvoting, you can also follow someone who gives good answers, and your notifications will bring you pretty much everything they write. Yeah, Quora has spawned its own star answerers. And they deserve their semi-celebrity status. Because the Quora upvote crowd has high standards. Oscar Tay didn't become one of the top answerers by campaigning for the position; he did it be giving smart, well-researched answers. Best thing, for me, is this. Whereas on Facebook the subject of every page is "me, me, me," every posting on Quora has a subject matter. So when you join in a discussion, you're not a troll, you're just somebody who wants clarification or who brings some kinds of information or expertise to the conversation. In most areas, I'm just a spectator, because I'm not really an expert on much. But I began adding comments to other people's answers, and then making my own answers. 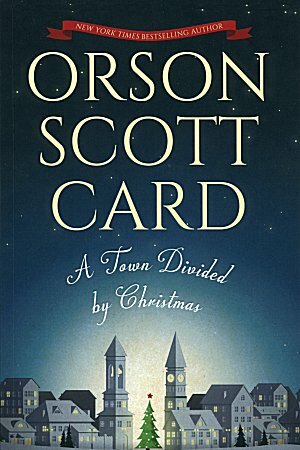 There was a bit of kerfuffle when a few people began to ask, Is this really Orson Scott Card? Why has Card started posting on Quora all of a sudden? In this age of web-based anonymity, of course there would be impostors who pretended to be some kind of celebrity, basking in the respect or star-worship. I feel sorry for anyone who pretends to be me in order to get those things because, come on, if I'm not getting it, why would the pretender get it? I'll tell you why. Because they're better at being charming than I am. However, in my case, I was not an impostor. I really was the guy who wrote Ender's Game (the book). We worked out a pretty easy way for me to verify who I am without a DNA test. Now that I'm identified, there are a few questions that only I in all the world am qualified to answer. Like, for instance, where did this or that story come from? 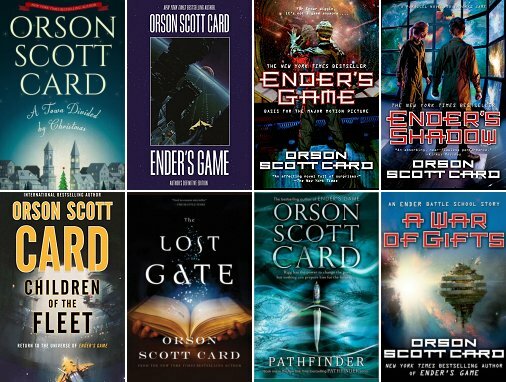 Between the novels Ender's Game and Pathfinder, which is my favorite? But it's not just comments about myself and my work, because I've spent my whole life studying history and language, and I was a professional copy editor for a while. So there are questions about language and grammar that I also take on. Often I'm not the only responder, but if the previous answerers didn't seem to me to really cover the subject, I'll try to write a more complete response. Then readers can decide with their upvotes whether my answer or someone else's should prevail. Why do people use "from the gecko" for "from the get-go"? This is how language changes naturally over time. "Get-go" is used rarely now, and few people parse it back to its origin in "get up and go." Instead, it is heard by naive speakers of English (i.e., children) as a single word, and then they will shape it according to how it sounds to them. Thus "get-go" is parsed as "gecko," because these naive hearers don't pick out the "t" sound because the "t" has changed the "g" to "k," disappearing in the process. Faulty parsing is why the term "a napron" has moved the "n" to the article and away from the front of the noun: Now it's "an apron." Ditto with "orange," which in Spanish has an "n" in front, and in Portuguese begins with "l" (which is formed exactly like an "n," but without nasalization): thus "naranja" and "laranja." French also lost the "l" or "n" from the front of "orange," and I'd be interested to learn whether English got the "n-less" version from French, or if both French and English discarded the "n" independently. Another example is "on tender hooks," which means waiting tensely for an outcome. But the phrase was, originally, "on tenter hooks," growing from the common image of freshly-dyed cloth set out as "tents" to dry in the sun. The cloth was hooked to pegs or posts in the ground, so it was kept stretched to maximal tension. Passersby would see these tents quivering and vibrating with the slightest breeze, so "on tenter hooks" became a vivid expression of tension. Just as the dyers' tents are gone from public consciousness, leaving room for naive speakers to hear "tender" (a familiar word) instead of "tenter" (not so much), so also as train travel has faded from most Americans' daily experience, the once-clear expression "Let's stay on track here" or "This discussion has gotten off track" has made way for such expressions as "Let's stay untracked" (when the opposite is meant) or "This discussion has gotten untracked" (which is merely weird). "Untracked" was rarely if ever used when referring to railroads -- the terms were either "on track" or "off track" -- but I have heard more and more mangling of the old railroad-centered expressions in common conversation simply because the people who say them are repeating memorized idioms rather than making a conscious reference to a once-common railroad analogy. We learn, not the language our parents and neighbors speak, but the language we think we hear them speaking, and our misconceptions become the new normal when enough others hear them "wrong" in the same way we do. As for "from the gecko," I'm just grateful that people (so far) are not saying "from the GEICO." Telling stories in multiple installments is hard. In television series, each episode has to be self-contained, and even when it contains repeating characters, the story has to be about the episode. That's how the very popular Bruce Willis-Cybill Shepherd died -- more and more, the episodes lacked a compelling story that would end with that episode. Instead, all the attention went to the ongoing soap opera of the stars' romance. In episodic television, we expect a sense of completion every single time. That's why the Law & Order format has worked so well. Because real criminal cases begin with the police and finish up in court with the prosecutors, every episode is built around the case, not the emotional lives of the continuing characters. They may have important personal problems, but the episode isn't about that. It's about the crime and who's going to be convicted for committing it. Once you get an engine that will drive an episodic series, as Law & Order and CSI did, then you keep driving down that track until you finally run out of storylines, because audiences don't easily get tire of watching. But "series" doesn't only mean episodic television. Think of the Superman movies. The Christopher Reeve-Margot Kidder Superman (1978) and Superman II (1980) were mostly filmed at the same time, even though director Richard Donner was fired after Superman came out and Richard Lester was brought in to finish the last bits on Superman II. Those movies were hits and probably deserved to be, at the time. But we often forget that those two were followed by Superman III and the spinoff Supergirl. Then there was Superman IV: The Quest for Peace in 1987. Remember that? Neither does anybody else. Why? Because Superman was the origin story -- we got Clark Kent as a child and watched him grow up into being a superhero. Yeah, we had to watch Marlon Brando overact in a badly written life-on-Krypton sequence, but that soon ended, and then Glenn Ford gave us Superman's adopted Earth dad in a compelling sequence that to me was the sincere heart of the story. But then, by the third, fourth, and fifth movie, the audience lost interest because, in my opinion, the producers ran out of good scripts and started filming idiotic ones. Unlike Law & Order, they didn't have an engine to drive the story. Sure, Superman saves people -- but that's not a story. The Michael Keaton Batman was pretty good, but the sequels, with or without Keaton, got gradually worse. They went down the James Bond road: Every stupider villains with ever-more-ridiculous evil plots. It's hard to care when you know you're watching outrageous falseness. So they rebooted Batman with Christian Bale in a powerful origin story, followed by two episodes with a coherent progression. Then Heath Ledger, playing yet another version of the insane Joker, took the series to a decent conclusion. The trilogy ended. Because that's one way to do a series: Instead of open-ended situations as in television series, you treat it like a single three-part story and then you stop. Now we come to Spider-Man. Sam Raimi directed three movies from 2002 to 2007, starring Toby Maguire as Spider-Man. Maguire did a fine job, but the series petered out because the villains got stupider and stupider (a common theme here). Then they brought in another director to reboot the series with The Amazing Spider-Man, starring Andrew Garfield. Though I liked Tobey Maguire, I thought Andrew Garfield was inspired casting (and he has proven his worth since then in movies like Hacksaw Ridge). But this iteration of The Amazing Spider-Man was good for only two movies before it was abandoned. Then Disney, Marvel Studios, and Sony got together to blend the Spider-Man storyline into the general Marvel Cinematic Universe. Thus we got our first glimpse of Tom Holland as Peter Parker/Spider-Man in a minor role in Captain America: Civil War, before he got his own movie, Spider-Man: Homecoming in 2017. This definitely constituted a reboot -- Peter Parker is still a kid. But it's not an origin story, except in the sense that Parker is still trying to make sense of his life and his role among the Avengers. And we -- that is, America and the rest of the world -- loved this well-written, well-acted movie. Still, the message seems clear: Spider-Man only works in the movies when Peter Parker is still young and confused -- preferably in high school. Sure, give him a love interest ... but the movie isn't about Spider-Man in love, not if you want to keep it going for very long. DC Comics came back to Superman with as many new starts as Spider-Man got from Marvel. With Christopher Reeve playing the part four times -- a record for appearances in feature films as the same superhero? -- we then got a new start 19 years after Reeve's last appearance, when Brandon Routh starred in Superman Returns (2006). Routh was fine, but the script was impossible to care about, in large part because it wasn't the origin story. Because that's the lesson I learned from all the Spider-Man and Batman reboots. These superhero stories work best when we root them in the real world. After all, if you make superhero movies that appeal only to the eager comics readers, you'll have such a tiny audience that you could never make a second one. So the movies have to appeal to large numbers of people who have not immersed themselves in the comic books. So you need to show the superhero dealing with the real world, learning how to become the person who changes the world for the better. That's part of the reason Christian Bale's Batman lasted brilliantly through three installments -- the scripts kept the story rooted in a semi-believable contemporary America. Thus my favorite Superman movie was and remains Man of Steel (2013), starring Henry Cavill. Cavill's training as a British actor was very important -- like the best British actors, he could do a better American accent than most Americans. But he was blessed with an excellent script and a great costar in Amy Adams. So what happened with the second installment? Because the idiocy of the comics community was adopted as if it were a good idea for general audiences. You know the idiocy I mean: "Batman versus Superman -- who wins?" The audience loses, that's what. The writers did their best to make a coherent story, but they were doomed from the beginning because it's a stupid idea. Stupid stupid stupid. It's nice that DC Comics owned two great comic-book franchises, but corporate ownership is not a good reason to combine multiple superheroes. That's a weird custom in comic-book-land, but to the general public, superheroes are already so unbelievable that combining ones that don't go together at all gets harder and harder to swallow. Marvel has done it as well as it can be done, but ... come on, how long are we supposed to pretend to care? And Batman -- who has no superpower but money and personal combat training -- does not belong in the same universe as Superman, and he never did. A series is a fragile thing, which the studios have spent hundreds of millions of dollars proving to us. They get a good script and a strong launch on a series, only to fritter it away on all kinds of bad decisions. Then they reboot with a good script and new actors in the key roles, and then proceed to make most of the same mistakes all over again, killing the series yet again. What's true of superhero movies is also true of big sci-fi epics. Star Trek had a built-in audience, but it wasn't large enough to drive an expensive movie franchise -- they had to get up to speed by making movies that appealed to people who didn't already worship at the shrine of Spock. But the Star Wars franchise was so strong that it survived 3.5 dreadful movies. (The third movie died when the Ewoks danced, and the prequels never actually lived.) They had to come back to having good writers create scripts that would be interesting to more than the true believers in the Force. Guess what? It isn't only television and movies that depend on series for a lot of revenue. Book writers also are lured by the siren song of income security that a successful series can represent. Sue Grafton, who recently passed away, completed twenty-five volumes in one of the most successful detective-novel series of all time. Grafton never faltered -- her Kinsey Millhone novels worked every time, because each episode was a compelling story in its own right. You could start the series anywhere and be up to speed within a few pages. Grafton had several good exemplars. Most important was Arthur Conan Doyle, who got so sick of having readers only want Sherlock Hoilmes stories that he killed the character. Then he brought him back to life because, like it or not, Sherlock Holmes was Doyle's only claim upon the general audience. So Grafton learned that when you own the cow, just keep that cow happy with regular milking. You don't try to get out of the dairy business. If Agatha Christie got tired of doing Hercule Poirot mysteries, she could always switch over to Miss Marple. She also did standalone mysteries, but it was a creative and financial gold mine to have two series characters going. Michael Connelly and Robert Crais have both learned from this, with two strong characters each, moving each pair into and out of each others' novels. And Walter Mosley has more series than that. The point is that episodic series work very well in mystery fiction. Robert B. Parker turned his Spenser series into a long story arc with Spenser growing as a human being. And Michael Connelly's Harry Bosch is also an interesting human being, who is changed by the cases he takes on. These mystery series are like television series, in that each episode must be self-contained even if you have strong continuing characters. And when a series really works, the Treasury Department will install a press in the author's house to print money for him. Mystery novels, though, tend to be short -- longer than hour-long TV drama, but still somewhere between 80,000 and 110,000 words. Some are even shorter. Those are not thick books, usually. The power series that dominate book publishing right now are the mammoth doorstopper books in fantasy series like George R.R. 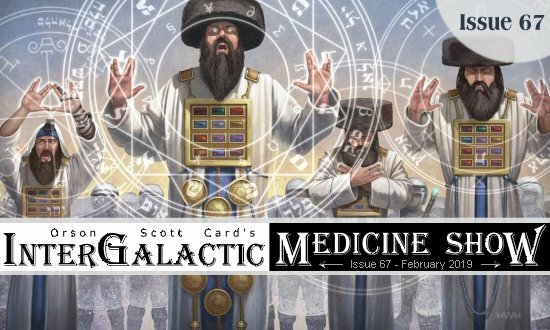 Martin's A Game of Ice and Fire and Brandon Sanderson's Stormlight Archive. Martin's story spawned the powerful HBO series A Game of Thrones; but neither Sanderson nor Martin has yet completed his series. In fact, this seems to be a spreading disease. Sanderson completed his Mistborn series before he stepped in to finish Mammoth Fantasy SeriesWheel of Time by the late Robert Jordan. But it seems to be Jordan's example that everybody is determined to follow: Start a series so big that you can't finish it in your own lifetime. Sue Grafton completed 25 of her 26 projected books before she died. But Robert Jordan wasn't in good health when he decided not to finish the story of Wheel of Time quickly; he preferred to leave it for other hands to finish. George R.R. Martin is one of the kindest and most talented writers I know, and I love his series, but he hasn't kept himself in fighting trim and his completion rate on volumes of A Song of Ice and Fire seems to be slowing down. Live forever, George, but also please finish the books! I don't want to read somebody else's version of your books -- we're already getting somebody else's version on HBO. It's your version we want now. And Sanderson -- well, he's much younger than Martin, but he's only three books into A Stormlight Archive, but I hear distressing rumors, most of them coming from Sanderson himself, that the overall story will take an additional seven huge volumes before it finishes. And these aren't the only fantasies going. K.J. Parker deserves credit for the fact that when he writes a trilogy of doorstopper fantasies, he stops at three! Nobody has written epic fantasy more brilliantly than Parker, even though his books don't actually have any explicit magic in them. The Engineer Trilogy, The Scavenger Trilogy, The Fencer Trilogy -- each of them is monumental. They can be slow going, but I never regretted a moment of reading them. Mark Lawrence wrote the dark, dark, dark Broken Empire Trilogy, consisting of Prince of Thorns, King of Thorns, and Emperor of Thorns. If you've got the heart for it, this trilogy is overwhelmingly, unforgettably good. And I'm halfway through the second book of James Islington's Licanius Trilogy. 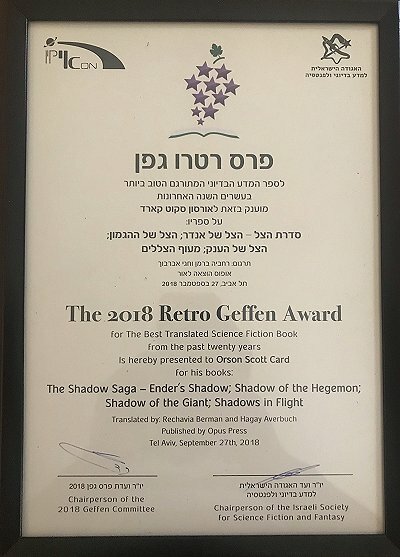 Unfortunately, those first two books -- An Echo of Things to Come and The Shadow of What Was Lost are the only two books of the trilogy that yet exist. And that's the problem with these big-book series. Writers need to start them when they're young enough to have a hope of finishing their own work while they're alive. But there are more problems than mere completion. For instance, even though Islington's trilogy has a very compelling story, I'm in the middle book right now, and it suffers from middle-book woes. We've already had some powerful revelations about who is really who and who's on which side in the big war. Now there's a lot of spun-out narrative as characters tediously eke out more revelations that the author could have given to us -- and them -- much more briefly and clearly. Middle-book woes are common. I'm about halfway through the second volume of Brandon Sanderson's Mistborn trilogy and we're still in a holding pattern with stuff left over from the ending of volume one. That's because, unlike mystery writers, fantasy writers seem to feel no particular urgency to make each book stand alone. When you begin the second volume of a mammoth fantasy trilogy, chances are it won't feel like the beginning of a new story, which will earn its own ending. On the contrary, you're highly likely to feel as if the second volume isn't about anything except getting from the last page of volume one to the first page of volume three. And these are terrific writers, telling deeply involving stories. It's not as if you stop caring about the characters -- it's just harder to stay involved in the events page after page. When you aren't making each novel stand alone, middle books in series can become pretty tough to slog through. K.J. Parker seems to solve this problem by making sure there are plenty of long, slow slogs in all the volumes, so the middle one isn't a surprise or a let-down. But this really isn't the ideal solution. Detective novels, like detective shows on television, approach each episode as a new, self-contained episode. But that's because they are meant to be just one more bead on a long, long string -- their overall stories are completely open-ended because why would you be insane enough to deliberately end them? Big multi-volume fantasies, on the other hand, have the example of Tolkien, who did not intend Lord of the Rings to be a trilogy. He wrote six parts, not three; it was the publisher that put them together to make three books instead of six. Tolkien actually tried to give each of his six volumes a clear, satisfying end. But he was never able to make any of them begin in such a way that a reader could begin reading with any volume. Like Tolkien, most of the epic fantasists writing today don't think of themselves as writing "a series." They're each writing a single multi-volume story, and there's no reason for readers not to start at the beginning and work their way through. If that's how they read it, there's no reason to make any volume stand alone. So ... they don't. This is the golden age of Fantasy. Every one of the book series I've mentioned is, in fact, a monumental achievement -- even the ones that aren't yet complete and seem unlikely to be complete in the author's lifetime. The depth and breadth of creation in every case is remarkable. Another series that I have loved is the one that began in 2007 with Sherwood Smith's Inda. When I reached the end of book two, there weren't anymore, but now I realize that she's brought the series to four volumes and I owe myself the two most recent ones. Like everybody else when each new volume in George R.R. Martin's epic comes out, I'll need to reread the whole series to date. But when the writing is very good, and the stories are interesting every step along the way, that's a pretty painless duty. I know that some of you absolutely refuse to read a series until it's complete. No way do you want to be stuck with having read two books and now there'll never be a third. But if there's any value to fantasy fiction at all, and I believe there is, then by waiting to read any of A Game of Ice and Fire or The Lucanius Trilogy until the whole series is complete, you're cheating yourself of the chance of moving through your life with some of the finest fantasy stories as part of your memory. It's like all the nonsense about spoilers. If a story has any value, then why do you forbid people to talk about it because you don't want it "spoiled" by finding out what's going to happen? If it can be "spoiled" by premature exposition, it wasn't very good to start with. Knowing that everybody's dead at the end doesn't mean you'll never want to watch Romeo & Juliet or Hamlet. And knowing that the writers of Game of Thrones on HBO gave themselves a huge budget cut by blowing up half the cast in a terrifying scene. The books may not have that scene. But knowing about it doesn't "spoil" either the episode or the season. In fact, knowing the terrible thing that's coming increases the power of the preceding material, because you know and dread what's coming. That's so much better than being "surprised." We're in the dead of winter right now, getting fairly crushed under the weight of global warming expressing itself with really low temperatures. But now's the time to start assembling your summer reading. Because when you're there at the beach or out on the hammock in the back yard is the time to crack open that huge fantasy story divided into, so far, two or three or four volumes. So what if the whole series isn't already written? You can't finish all the books printed so far during your vacation anyway, and you'll always remember this coming summer vacation because it was the time when you dwelt for weeks inside a marvelous fantasy story. If you've been reading Sanderson's The Stormlight Archive, then I'm happy to tell you that the third volume, Oathbringer, is wonderful. No, it doesn't resolve everything, but it absolutely resolves some things, and the things we learn are powerful and revelatory. Oathbringer is not just filler to get us to the next book -- Sanderson always moves the story forward, sometimes with breathtaking rapidity. And if your plans for summer include a stack of The Way of Kings, Words of Radiance, and Oathbringer, you can't go wrong.